"For those who became champions and those who were good but never had the chance to prove themselves"
The main level of the Rodeo Center highlights 9-time World Champion Casey Tibbs, Trickrider Mattie Goff Newcombe and 18 other World Champions. In addition to the exhibits of 9-time World Champion Casey Tibbs and Trickrider Mattie Goff Newcombe, check out our large room which features Tibbs film career and the upcoming documentary "Floating Horses. - The Life of Casey Tibbs." The Rodeo Center also has three, large bronze sculptures on site. The second level displays feature highlights and artifacts of rodeo clowns, announcers, queens, entertainment acts, cowboys, and stock contractors. 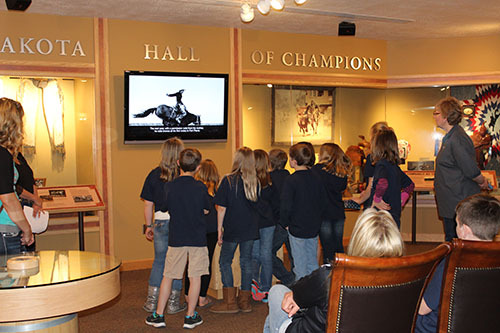 Organizations such as 4-H, Little Britches, High School and College Rodeo are also featured exhibits along with the Great Plains Indian Association and the South Dakota Rodeo Association. Bring your children or grandchildren! They can climb on the virtual bronc and see what it is like to ride in a rodeo! 8 seconds can be a long time! Bring your camera or cell phone- and you take their photos after they dress up in our western clothes and climb on the real display saddle. Watch the famous rides and interviews of the 18 World Champions from South Dakota! 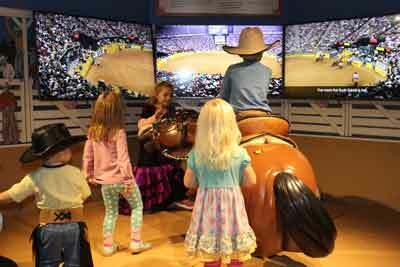 Have a seat in our theater room and watch a video about rodeo and the western way of life. In addition to the incredible museum the center is home to the Mattie Goff Newcombe Conference Center, which has a spectacular view of the Missouri River. 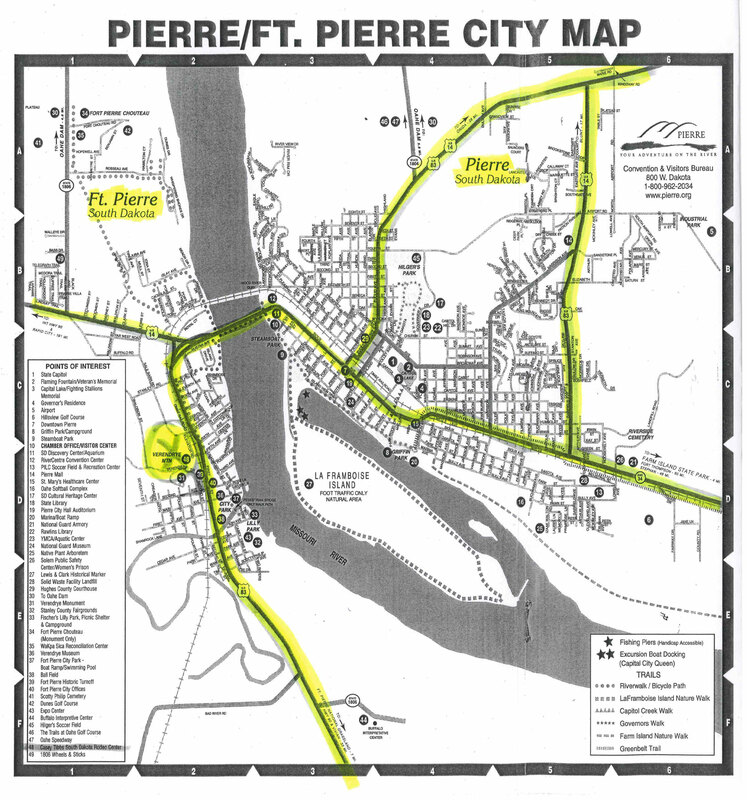 As you get into Fort Pierre, take first left after stoplight. Turn right at stop sign on Verendrye Drive , go north 3 blocks up the hill. Casey Tibbs Rodeo Center is on your right. Drive about 1 mile, just beyond horse statue, turn west on 2nd Street (unmarked), just past Cool Spot Ice Cream Store. The Rodeo Center now has a motorized wheelchair available for visitors to use at the Rodeo Center. Call us when you get into the parking lot and we will bring it out to you!